1. Download Play Store v3.4.7 Apk from here on your smartphone. 2. Now to the Application Settings and Select ‘Allow Unkown Sources’. 3. In order to prevent the file from getting corrupted or to make the process easier better download the same on your computer and later transfer it to your Android phone Via cable. 4. 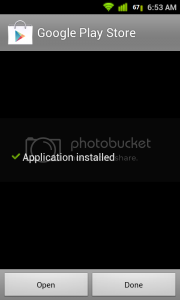 Now locate the downloaded apk file on your phone and double tap to start the installation. 5. 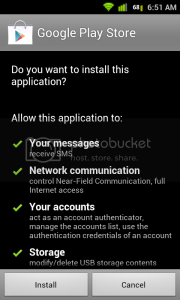 You will get a prompt saying ‘This is a System application. 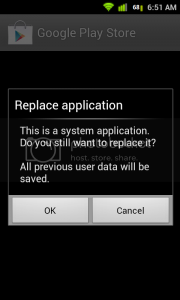 Do you still want to replace it?’ Simply Tap OK.
6. Next screen will ask you whether to install this file or not. Simply Tap on ‘Install’ and wait for few minutes until it gets updated. That’s it. You are done. Now you have access to all new features of Google Play Store.